Rated 5 out of 5 by SuperGirly79 from Who Knew That Clutter Could Be Fun? After playing Clutter 1 and 2, I knew that I had to play this version as well. The levels are just the right amount of fun with just the right amount of difficulty that I like. I highly recommend this game to anyone that likes hidden object games! I'm addicted to Clutter! Rated 5 out of 5 by queenjanis from Clutter III I have played the first two, and I really liked them, so I am getting this one also. What a great stress reliever ! Rated 5 out of 5 by Natley from oh I love the guy who is clutter I don't have any idea what the rambles about void are but who cares ? cod psychology just adds to the fun. I LOVE LOVE LOVE clutter, I love the quotes, some genuinely made me think a bit, could do with more quotes from women writers and thinkers tho. I just get such a kick from being so close up with my screen, nose touching and 100% concentration trying to match colours textures and shapes against the time, and dang, groan out loud when I miss it by one second and they kindly say 'we know you can do it, try again'. And I do ! My ONLY moan is that some of the games don't have a skip option, specifically for me I really dislike matching playing cards, its just annoying, and I couldn't skip these, its forced on you to play them. The only workaround that I can see is to return to main menu, reduce level to basic, play it, and move forward, but I resented having to play a game I didn't want to. I don't mind matching the keyboard keys too, its just the cards that I really loathe. Other than that, I enjoyed it all, the slider games, jigsaws, variations on Sudoku and tetris. you get a lot for yr money and can play the main game again and again as well as the minigames keep you going for weeks. Big THANK YOU to Joe / Leon / Ana et al. Rated 5 out of 5 by vmtino from Different and Fun Puzzle Game This is a different game and I really enjoy it. My favorite section is the Slider Puzzles!!!! These are GREAT! I have done these puzzles over and over and want MORE!!! I would buy a game full of many, many slider puzzles. Rated 5 out of 5 by shelockable from FABULOUS Game Play with just the right Music!!!! I would like to give a SHOUT OUT and a VERY HIGH 5 to the developers of Clutter 3 !!! This game was very, very challenging and enjoyable to play due to all the different puzzles ! The team knocked this one out of the park...."THANK YOU ALL" for such a wonderful job and I'm looking forward for the next release "Clutter 4" !!! Rated 5 out of 5 by CECEEGGS from Not Your Usual Hidden Objects Game This is a crazy fun, addicting hidden object game. Very challenging and it doesn't get boring. You may or may not like the story line, I liked it but can imagine it won't be for everyone, but you won't mind because the games are different and unusual. I thoroughly recommend this game! Rated 5 out of 5 by phooofeee from What make a game great? I love hidden object games and I consider this one of the best--although it's more of a matching game. The Clutter Games make me feel a bit guilty that I'm playing a game instead of cleaning up my own clutter in my house! I pretty much figured that the player was "The Void" from the beginning--because it seemed "everyman" appears in the silhouettes. For me, the music makes the game and this game had a varied score that changed from one level to the next--classic and not "loopy". I played and bought the first 2 Clutter games, but #3 is the best. I didn't hate Leon and Anna but did find the preaching annoying. In #3, some of the puzzles are also annoying--Need more of the memory matching puzzles and less of the sliders/shifters-I skipped most of the puzzles because they didn't do anything for me. Rated 5 out of 5 by craftylady56 from Late in posting my review for Clutter 3 Hi fellow fishies I usually don't do reviews but I had to for this one. This review is out of the box as I want to say a huge thank you for this game. I work in accounting for a big company and have OCD. After a long (and sometimes flustrating day) I can come home and play this to help me focus on something else and let my mind slow down as I can control the game my way. I also have fibromyaligia and with many sleepless nights this game helps me to relax. Again, this is a wonderful game and with many, many choices it is replayable again and again. I hope everyone enjoys this game as much as I have. 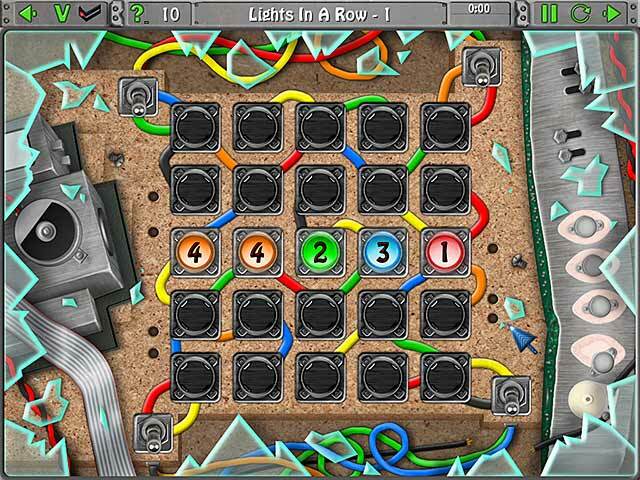 Rated 5 out of 5 by sealsbroken13 from Enlighting I played clutter 2 and really enjoyed it so when I saw 3 it was a must to try. But wow who would have thought game designers could be so interesting, I enjoyed getting to know the creator of the game more than the game. I am almost to the end. I had no idea that game designers had it so hard. I also had no idea that one person could do so much all alone and still produce such a wonderful game. After clutter 2 I had to declutter my house. It was really nice getting to know Joe and so look forward to his next game and maybe letting us get to know him even more. I really enjoyed the game,but was utterly shocked to find out this was not a group but one person until it comes to the committees. I think I enjoyed the story and person more and the puzzles were a lot of fun also. Rated 5 out of 5 by garryngirl from Variety plus Love this game, there are heaps of different challenges, some easy and some really challenging. There is a storyline but I am not particularly interested in storylines or sound effects. I like to get in and just play the games. Brilliant game if you are looking for a single game with different challenges. Rated 5 out of 5 by romany09 from The Best One! I like this Clutter game the best. In answer to your questions Developer: games should be games. No preaching, just fun! I admit that home clutter brings negative feng shui to a home so really didn't mind your suggestions in Clutter 1, but you made your point :-) and I was glad to relax this time. Looking forward to your next game! Rated 5 out of 5 by smidgieroo from Wow fantastic game! This is my first ever review comment. I just had to come on here and praise a wonderful game. I started playing at 8:30 am and just now tore myself away to do some things and noticed it's 12:30! yikes I have never lost myself so completely in a game. I'm going to have to set up a timer from now on so I actually go live my life lol. seriously though I use games as a distraction from chronic pain so I am always on the lookout for that perfect lose myself game and this is it! I even went back and bought the 2nd version too. Really , really well done. Love the different puzzles and I can see endless replay ability. I did feel a little sad when I was playing though. poor unappreciated Joe. Rated 5 out of 5 by margot01 from Warning: Amazingly addictive game It is very strange with this game. At first I didn't think this was a remarkable game, but when I played along in my one hour trial, I got sucked in by it, so I bought the game. Now I've played hours and hours and still I find it hard to stop. I like the filosophical or poetic notes and quotes from the maker, it is as if you slowly get to know him. And although (or because?) the gameplay is very simple, this game is highly addictive. Rated 5 out of 5 by Lyndy20 from Extremely addictive For some reason, I overlooked the first two Clutter games, but I was hooked on this one before the demo finished and purchased immediately. There is so much to do in this game, with a lot of variety in the main Void quest, fun replayable mini-games and additional quests. I am now a Clutter fan and will be having a look at the earlier games. Rated 5 out of 5 by Innovativemom from New Clutter Recruit Loved this game. Now I'm going to go back and buy the 1st two in this series. It's different from the normal HO. It has a mahjong feel to it. In a lot of the HO scenes you have to find hidden and matching items in sets of two. I don't know that I would actually call it an HO. It's stacks of stuff, one on top of the other, which is what the title Clutter refers to. You do have to search for things, but instead of trying to recognize objects it's more about finding matches for items on top so that you can make your way to the bottom of the pile. The mini games are plenty and different enough to make it more interesting. I'm now a fan and am going to add the first two to my collection. Rated 5 out of 5 by Marly_55 from Challenging and Very Addicting! When I saw that some of this was just a massive pile of stuff that had to be matched up, I thought this wasn't for me but the pieces are well hidden. I found it enjoyable and challenging. Rated 5 out of 5 by trinity37373 from Mesmerizing This is my first time playing Clutter. I am going to have to go back and play the other two. This game is just so fun I couldn't get off my computer. It is different and challenging and simply loved it. Rated 5 out of 5 by peakin from Love it! I've played and purchased the other clutter games and this one is much better. Same concept of finding hidden objects but with more nuances that change up the play to make it more challenging. If you're beaten by the time, you must replay the game 3 times before it'll let you skip the puzzle. The replays are not necessarily the same objects, so it keeps you intrigued. By the third time though, I was able to beat the clock, so wasn't necessary to skip. Music is a bit distracting after a while, but I just turned it down. Mini games are fun. Found the jigsaw puzzle aspect pretty easy so far; don't know if it gets more complicated the more you play. Story line of finding the Void is a bit perplexing, but hopefully it'll make sense in the end. Rated 5 out of 5 by stcyhood from Fillilng the void and loving it! Love everything about this game! The story, the puzzles and of course finding all the parts and pieces that make this game so enjoyable. Rated 5 out of 5 by tesamoine from This is a Great Game !! I stopped by the forums and read the reviews for this game early this morning. It sounded very interesting, especially since this is not a game I would have ever considered even downloading the trial on. With that said, I did D/L the trial and just finished playing it.... what a Fun, different game !!! There are puzzles, find pairs, find silhouettes, more puzzles. There is a great tutorial with the end goal being "Who is the Void". I purchased with a PCC because I was sincerely enjoying this game. I don't think it's a game I could play for more than an hour at a time. I believe I would go blind :) However, it is fun, challenging, different. Music is background music and I barely noticed it. Colors were great, graphics were great. I needed something new in gaming and this one fits the bill perfectly. Rated 5 out of 5 by pennmom36 from The Void Doesn't Exist! I haven't played Clutter 1-2 YET, but I certainly will now! Who would think that a giant pile of junk all crammed together could be entertaining? The object of this game is pure and simple, find matching pairs of items, that's basically it in a nutshell. You will collect single coins to refill your hint meter and collect letters that will eventually spell a certain phrase, and you collect puzzle pieces that you put together when all are collected. There is a conveyor belt that tells you how many laps the belt will make before time runs out and the remaining number of items you have to find. There are discs that block your view and they will be removed one at a time as you make matches of the items pictured at the top and or bottom. There are mini games such as a combo of suduko and tetris and between games you will get clues and tidbits about the true identity of the Void, enjoy! Rated 5 out of 5 by Amijane from Clutter Lover I am a Clutter lover and at first I was a bit disappointed by this game...it didn't look as nice as the ones before...but hey, like Joe says "would you rather play a beautiful and boring game or a not so beautiful but interesting one?". Actually the first hour made me unsure if I would buy it but since I had a free game I did and YES it gets better! The story gets much better and you can do so much. You can customize nearly everything and most of the games are random so you can play them again and again! This is a game slow at start but it finally gets there! Rated 5 out of 5 by Whrlwind from Loved the Third Installment This games is the best so far in the Clutter Family. Not just one game but it branches into a lot of different games, which can occupy me for hours. Love the ability to personalize the games with lots of options. Better than a "matching game," not a "HO" game - just in a class of its own. If you are looking for something different and addicting, this game will send you in the right direction. Rated 5 out of 5 by DRAGONWYN from NEW ADDICTION! I have not played any of the other clutter games but thought I'd try this one. LOVE IT! The 1 hour trial went by way to fast! Very addictive. I'll have to use my game credit and buy this one right away. Rated 5 out of 5 by JustTheFacts from Its A Really Cool HO/Puzzle Game! BASED ON DEMO FIRST IMPRESSIONS I wish we had underline or italics, so I could make the point more clearly. This is a great game for what it is and should not be approached as a comparable game to what we usually play, i.e. HOPAs. 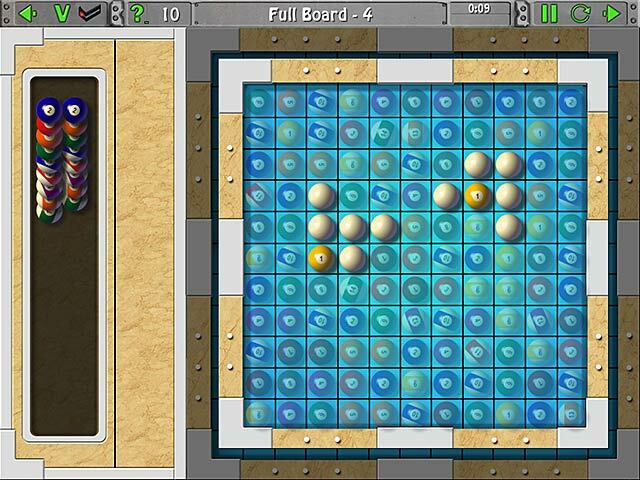 What this game is, is a very entertaining and well constructed puzzle game with a lot of HO puzzles, and 20 other kinds. There is NO adventure play here, but there is a story of sorts that I’m keen to find out more about. SIGHTS & SOUNDS The graphics are okay. Certainly clear enough, bright enough, the items are all quite visible. I didn’t notice any graininess or rough edges. But it is not art. The main menu page implies a certain tendency towards mechanics and electronics, the colours reminding me of “The Matrix”, but the HOPs at least incorporate images from everywhere. The music is pretty annoying, very upbeat, varied enough, just not what I’d like for background noise while I’m trying to concentrate. There is no voiceover, the Void communicates by way of pop-ups that are very frequent at first, as help and explanations of what is coming are given. Only this first bit is unskippable, after that, comments and tips are all skippable. Personally, I was grateful for them. WHAT’S HAPPENING? This is not an adventure, but you do have a quest. To find out who is really the Void. 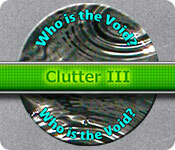 I have not played or even known about the earlier Clutter games (but I’ll certainly be checking them out now), so I don’t know to what extent this game follows on from them, but clearly we have had previous encounters with the Void. Our quest is to establish its identity, and also to challenge ourselves and our ways of thinking about games, and find out generally how games are created. This is very interesting to me and even though pure puzzles would not normally tempt me, I will be buying this game - largely on the promise of these questions. Answers and revelations are your own of course, however, the end of each chapter gives us a quote on games and something to think about. GAMEPLAY The first quest for this game is “The Void Speaks”. It is the tutorial game of sorts I guess, certainly there is a lot of information given on how the game works and how to do each style of puzzle. This chapter is filled with very hard matching pairs HOPs. There is a lot to match – up to 50 pairs so far. Also, there are bonus items that are shown only at the top and/or bottom, which require special action. And they are hard because the items are often well hidden, and sometimes only part of one will show from beneath the array of non-list items that can be collected. 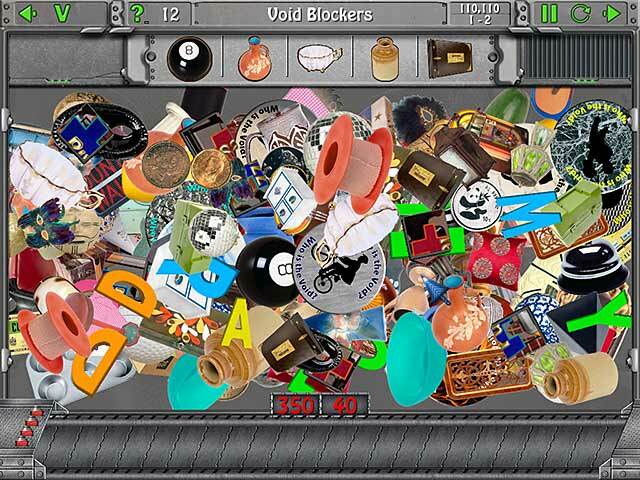 These include (so far): letters that form the words of a relevant phrase, coins which go towards additional hints, jigsaw pieces which go towards a 200 piece jigsaw to be solved at the end of the game, and “blocker discs”, which are not removable in the usual way, You must find 5 matched pairs to get rid of one pair of blockers. At the end of a HOP, you will get another type of puzzle to solve. And the next chapter will give you a different style of HOP. At the end of each quest, you get one of 5 answers, only one of which is correct. To find out the truth, you must complete all puzzles and the jigsaw, but you can skip all of them. And you can play them directly from the main menu. So after the first chapter, you could play just the puzzles if that’s what you want. The number and range of options is amazing. Sliders for music and sounds, choice of 5(!) levels of difficulty, and a total of 15 other toggles for things like blocking pop-ups. There is also a choice of timed or untimed. I found the HOPs hard, and spent a lot of time on them, but never ran out of time (got very close on one). COMBINED IMPACT This game is wonderful. I haven’t bought a purely HOP/Puzzle game in years, but I can’t wait to get this one! So ingenious, so flexible. Wow! Rated 5 out of 5 by BlackWaterRules from Crazy, Fun Puzzle Game This is the craziest game I have ever played. There are junkpiles to find pairs of hidden objects and not to hidden objects. There are sudoku games. There are jigsaw puzzles. The music is crazy. The games are crazy. All the while you are playing you receive mysterious messages from the mysterious "Void". It was a lot of fun. Try it. It's not for everyone, but it's for me.